Will you take the Red Pen Challenge with your fundraising letters? Fundraising is a counter-intuitive profession. But it is a profession. 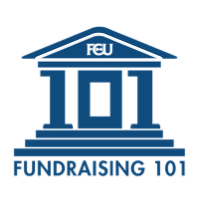 Experts research fundraising tactics and test strategies to find out what works. Often, the results seem illogical. Like is the case in writing fundraising letters that actually raise money. In our fundraising letters, we typically think our job is to convince donors that we - the nonprofit is a safe investment. So we talk about us, our accomplishments, all the great we are doing. Is this your approach? There's an easy trick to find out. Print out a copy of your latest fundraising letter. And grab a red pen and a black pen. With the red pen, circle all references to your nonprofit, yourself, and the pronouns “we,” “ours,” and “our.” These words will put your fundraising in the red. Count up the red circles and count up the black circles. How did your fundraising letter do? When I start coaching nonprofits, their typical one page fundraising letter has around 37 red circles to only about 7 black circles. That is not good. We're so full of "we's," I've even heard this called "the French test" - does your letters sound like we, we, we? The goal is to write your letters to the donor and talking about the donor as much as possible. Fundraising letter expert Steven Screen challenges nonprofits to not even refer to themselves in their fundraising letters. Donors are smart. They know you sent the letter. They don't need to be reminded about your name in every paragraph! Last week at a United Way regional conference, Neil Parekh, Director of Network Communications for United Way Worldwide, said we could even go as far as to replace our nonprofit's name with "you." Instead of "United Way did x," it should be "You did x." For example, if the fundraising letter normally said "Our United Way gave 32 filled back packs...," the letter should be "You gave 32 filled back packs...because of you, 32 students..."
Will you take the Red Pen Fundraising Letter Challenge? As you plan your year end appeals (June 30 year end) or plan your fall fundraising letters, will you take the red pen challenge? In the comments here, let us know how many red circles vs. black circles you get! Connecting the donor with the impact without talking about your nonprofit feels risky. But this one change alone is causing nonprofit professionals to double and triple the fundraising done through their letters. This is a great tip! I love it. Thanks! Interesting exercise. Overall there were 13 we/us/our/org name references and 6 you references. We've been trying to move toward a more community-centric voice, and when we use "we", we're trying to include the donor, since they are part of the community that made x result happen. We ended up using "together" a few times to try get that across. Good for you. Making that jump to an inclusive "we" can be challenging since donors are so unused to nonprofits communicating that way. I like the idea of using "together" with that!